H&H sells and installs Andersen Hitches 3291 4" EZ HD 16K Hitch with 2-1/2" Shank's out of the following locations: Birmingham AL, Pelham AL, Trussville AL, Oxford AL, Decatur AL, Dothan AL, Warner Robins GA, Hueytown AL, Huntsville AL, Starkville MS, Montgomery AL, Muscle Shoals AL, Gardendale AL, Cullman AL, Gadsden AL, Pensacola FL, and Columbus MS. Select in-store pickup at checkout for free shipping! Andersen Manufacturing, Inc. has been in business for over fifty years. In that time, we have grown from a single room shop into a 102,000 square foot manufacturing and fabrication complex. We are headquartered in Idaho Falls, Idaho and maintain our principal office and manufacturing facility right here in Southeastern Idaho. Our capabilities include custom metal machining, manufacturing, and fabrication jobs. In recent years, however, our primary focus has shifted to our innovative and increasingly popular towing industry products distributed under the Andersen Hitches brand. Our precise engineering design, on-time delivery schedules, quality products, and customer service are a relief to many and a breath of fresh air to all. It?s what business ought to be EVERY time! Since 2000, Andersen Manufacturing has been servicing the towing industry with a complete line of popular and unique products. We pride ourselves on innovation and have scored many industry firsts. Our ?Alumistinger? ball mount was the first aluminum ball mount offered to the public. 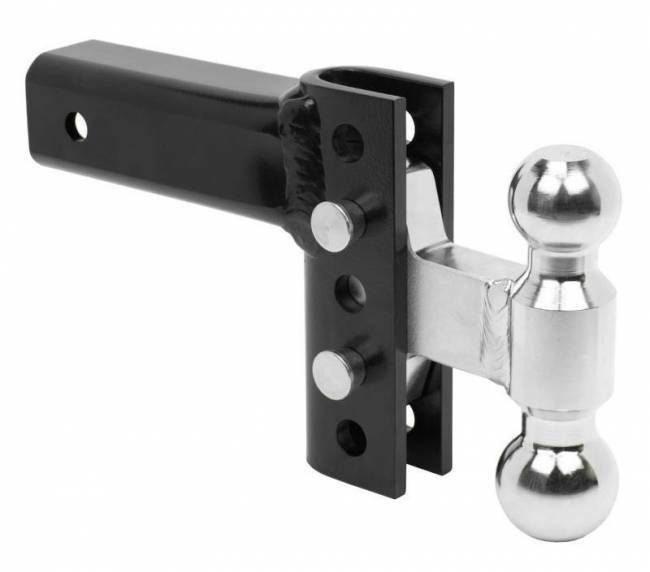 We followed that up with a widely successful aluminum adjustable ball mount that we named the ?Rapid Hitch.? As exciting as creating new products is, though, we feel that quality and service are just as meaningful. We are careful to assure that every product we produce has quality built in and back that up with top-drawer customer service.